If you ever look in the bakery section of your grocery store, you might find some creative cake ideas. 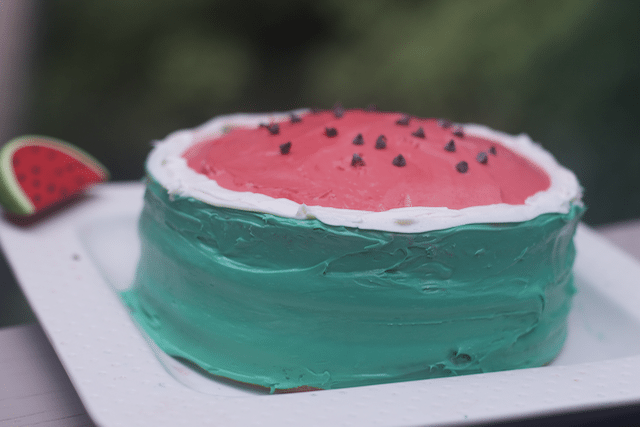 Watermelon is the perfect summer fruit, so why not make a fun summer cake idea, a watermelon cake. 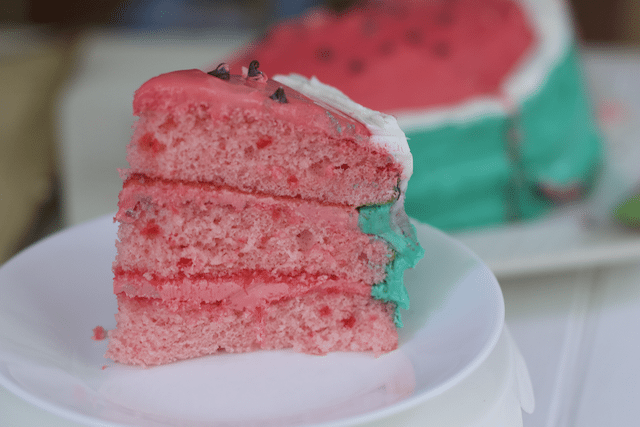 No this is not fresh watermelon covered in whipped topping, this is a strawberry cake turned into a watermelon. Don’t worry you don’t have to make a homemade strawberry cake, I used boxed mixes and canned frosting to make this cake. There is no reason you and your kids can’t make this fun summer cake for Labor day or just to celebrate summer before fall creeps up on us. 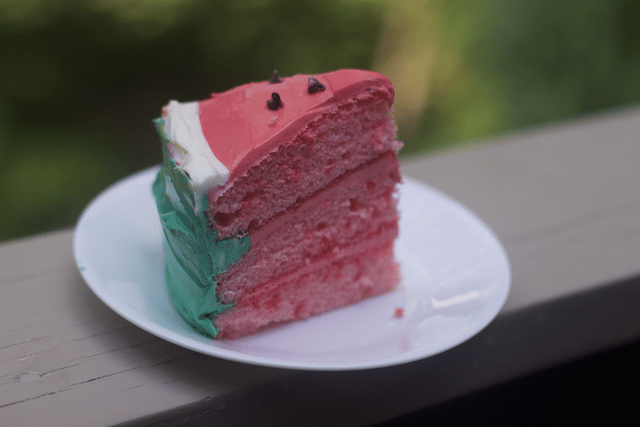 Make a pink cake, we used a strawberry cake mix into three layers. Take about 1/2 cup of white frosting and put it into a frosting bag with a flat tip. 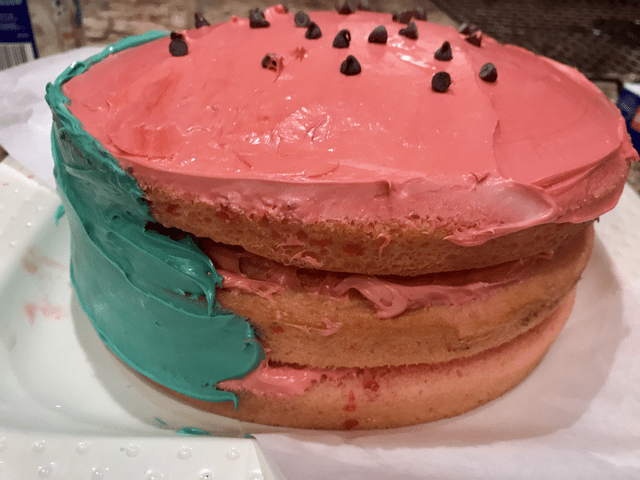 Add red food coloring to 1 can of white frosting until you get a dark pink consistency. Layer your cakes with the pink frosting. Finish the pink frosting by frosting the top of the cake. With the remainder white frosting, dye it a green color. Frost the sides of the cake limiting the amount of green that gets on top. The edges will be covered so some mess is ok.
With the white frosting you set aside, frost a band of white around the cake. 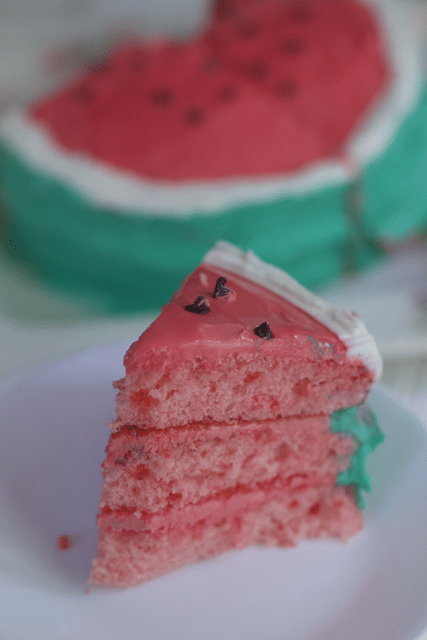 Add mini chips to resemble the watermelon seeds too for the summer cake idea. This simple but fun design will get your friends guessing just what is inside. My husband was a little disappointed it tasted like strawberry but I am not sure he would want fake watermelon flavor either. 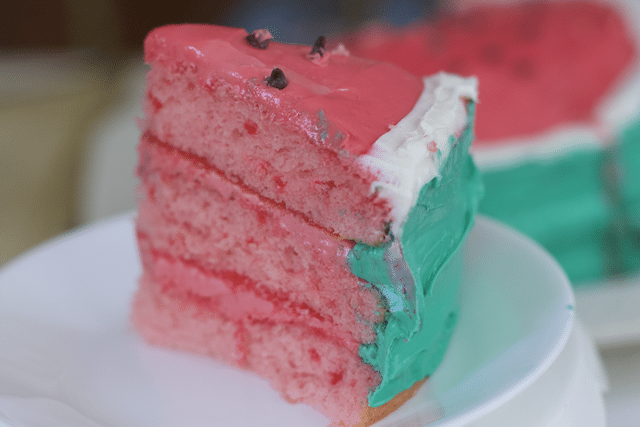 Cut a slice of your watermelon cake and your guests will be impressed. No need on telling them everything was store bought! 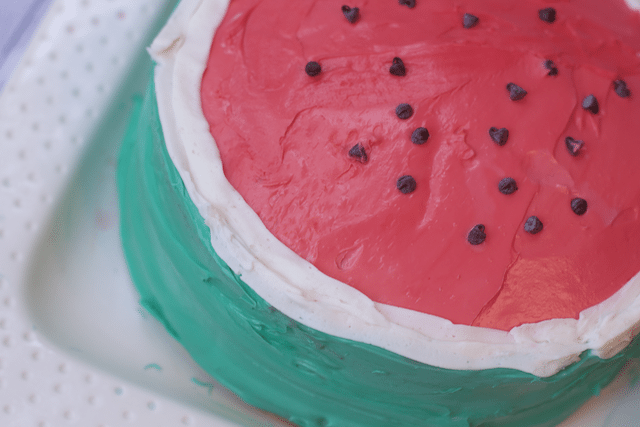 What fun summer cake ideas have you made in the past? 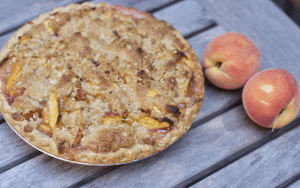 Make this cake soon, because soon pumpkin everything will take over and you will be dreaming of summer. 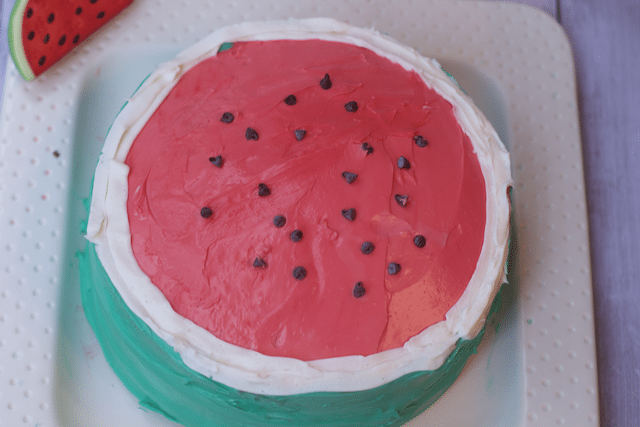 Pin this fun summer cake idea next time you are in the mood to bake. Ill take that as a compliment!! 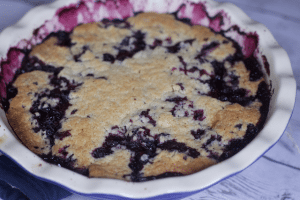 Yes you can make this for a while!! So cute! This would be a hit at any summer party!